Park Forest, IL—(ENEWSPF)—June 19, 2017. 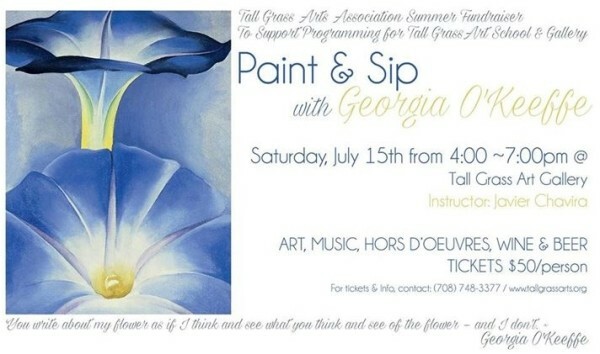 Tall Grass Arts Association will host a ‘Paint & Sip with Georgia O’Keefe’ on Saturday, July 15 from 4 p.m. to 7 p.m. at the Gallery. Help support the Tall Grass Gallery and School by participating in this evening of creating your own painting while enjoying music, hors d’oeuvres, wine and beer. The Tall Grass Gallery is located at 367 Artists Walk in DownTown Park Forest. Governors State University Art Professor Javier Chavira will provide guidance as you develop your Georgia O’Keeffe-inspired work of art. This all-inclusive event is meant to be fun, socially interactive and memorable! 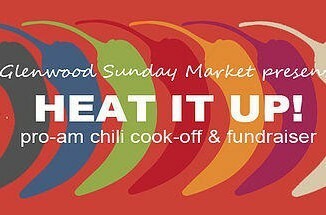 Tickets are $50 per person and can be purchased at the Gallery and at the door the day of the event.